The EL9189 potential distribution terminal provides 16 terminal points with a potential and enables the voltage to be picked up without further bus terminal blocks or wiring. The conductors can be connected without tools in the case of solid wires using a direct plug-in technique. 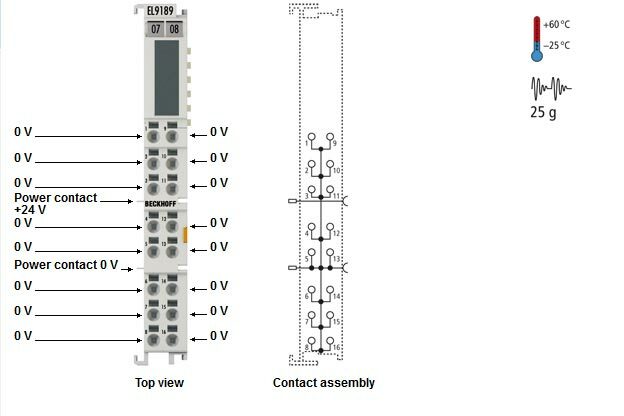 The HD EtherCAT Terminals (High Density) with increased packing density feature 16 connection points in the housing of a 12 mm terminal block.